Anyone who looks after a household or likes being active with children and grandchildren knows the importance of flexible movement patterns. From putting things into the bottom cupboard to picking up children's toys, a large knee flexion angle is indispensable. This is why amputees want a knee joint with functionality that comes as close as possible to the natural model. 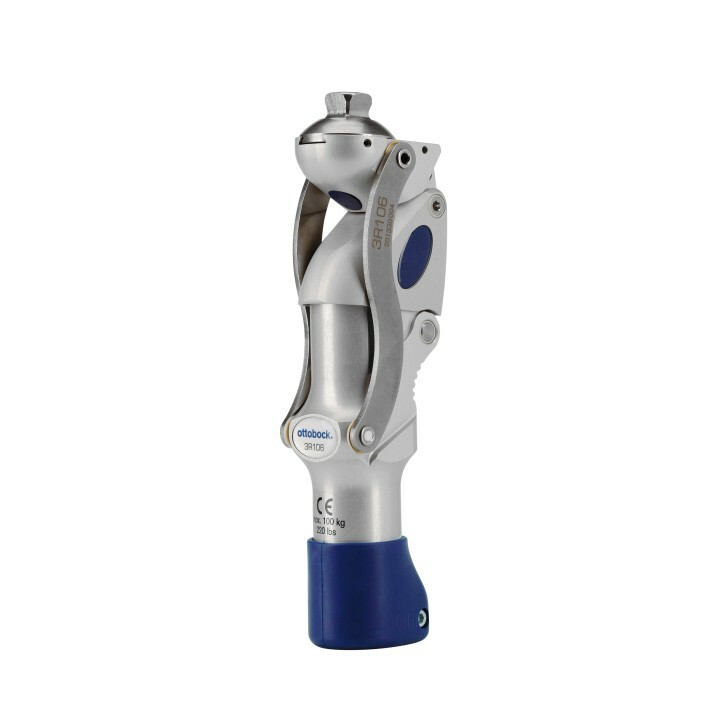 We meet this need with the 3R106 knee joint, which can be flexed to an angle up to 170 degrees. As though this were not enough, the lightweight knee joint also enables a harmonious gait pattern at different walking speeds. The joint offers maximum safety for you in the stance phase as well. As soon as your body weight is supported on the prosthesis and the foot is on the ground, unintentional buckling is hardly possible anymore. The 3R106 knee joint is suitable for a moderate activity level. Your orthopaedics specialist is happy to advise you regarding suitable connections and other components of your prosthesis system.